Taco Tuesday will never be the same with this taco serving kid and storage box. 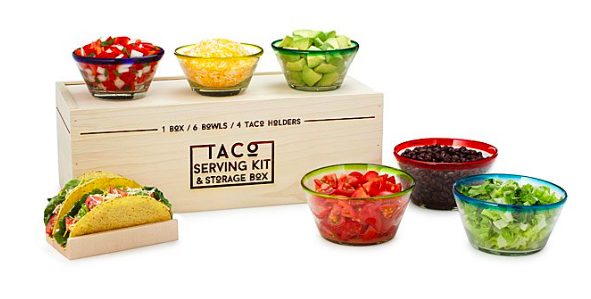 Serve tacos and all that goes with it with this super classy kit, all safely stowed in a handsome wood box. The pretty, color-rimmed glass bowls are authentically Mexican and hand blown in Mexico. You get three large bowls for your favorite fillings, and three small ones that are perfect for condiments or shredded cheese. Each taco holder holds two hard or soft shells. No spills, just awesome fun. 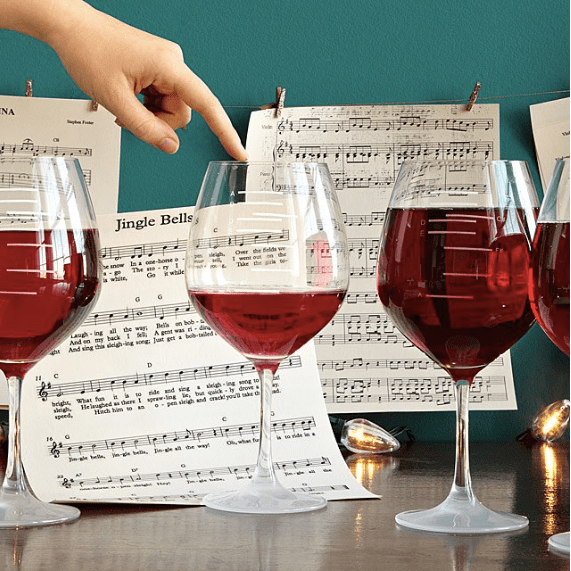 These musical wine glasses are the perfect overture for the lover of music and vines in your life. Just fill the glass to the note you want, wet your finger and trace it around the mouth of the glass. Enjoy the sweet sound of music made from wine (which is arguably better than the sound of karaoke from tequila, but we won’t judge if you’re also into that sort of thing!) Each glass has a full A-major scale, and each note is labeled with sandblasted fill lines. The glasses come from Germany, the decoration is added in Nevada. All you have to do is add the wine and the fun! Is your friend one of a kind? 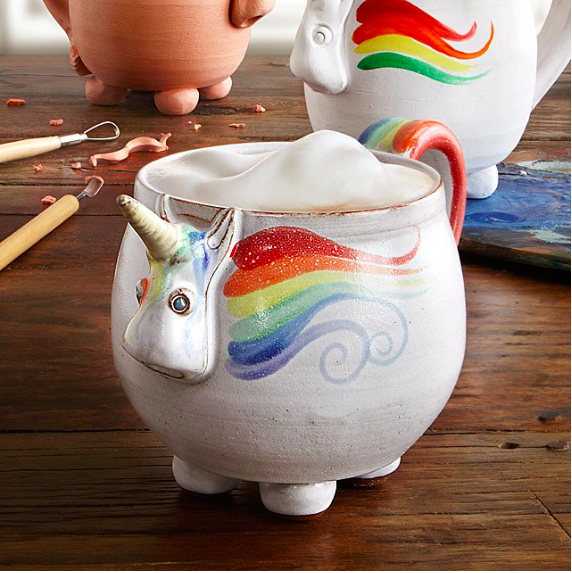 They deserve the Elwood the Rainbow Unicorn Mug. It’s super adorable and handmade from stoneware clay. Because it’s handmade, each mug is special in its own way. Elwood comes all the way from Pennsylvania but once he arrives, he will live in your heart (and your cupboard!) forever. 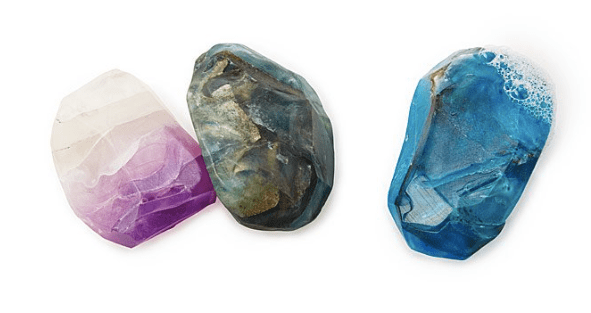 These gorgeous birthstone mineral soaps will make washing up a delight. These are handmade with love and reverence in small batches without molds. They are hand-cut into beautiful shapes that surprise and amaze. They are realistic and look like rocks, but soften up on your skin to clean you up nicely. These are made in Connecticut and as unique as the person you are planning to give them to. Disclosure: Promotional consideration was provided by Uncommon Goods, however all opinions are my own.